Kinkawooka Shellfish is an icon in South Australia! It is owner operated and is renowned for their shellfish products, especially the black mussels. The crisp and cold water in Port Lincoln, where the business is based, has created some of the best shellfish species in the world. I’ve even saw a 1Kg oyster a year ago on the news, however, you got to go to Port Lincoln to try it. 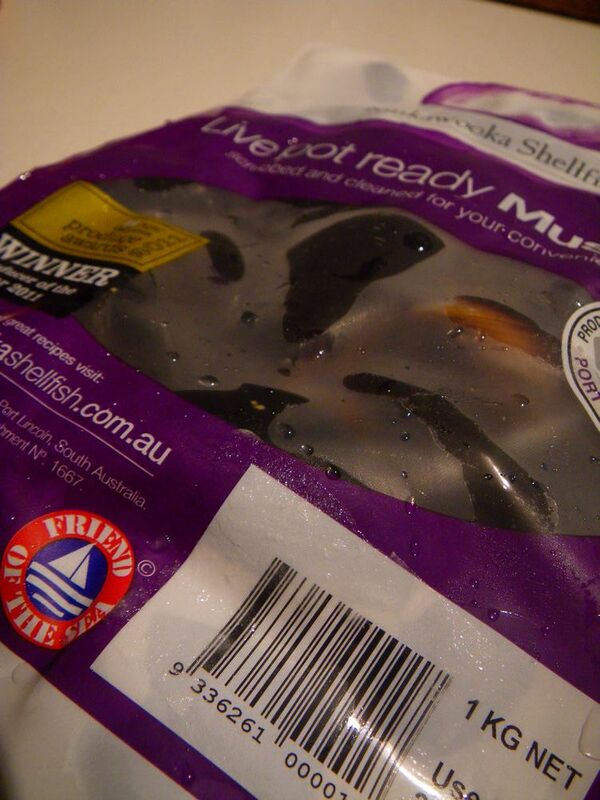 Anyway, Kinkawooka mussels can be found alive in the package in Woolworths and at some local seafood shops. If keen enough, one can pop down to the Adelaide Showground Farmers Market on Sunday mornings to find the their stall. 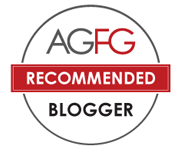 As the winner of the 2011 delicious Produce awards, the product really stood out from other ones available in the market. In fact, Kinkawooka is a pioneer in the mussel growing in the state. The company was established in 1976 and grow the mussels using a New Zealand method. The depth of the water in Port Lincoln is the perfect place for the mussels to grow in the state. When the package was opened, I saw these beautifully brushed mussels ready to be cooked. What’s even better was that they were still alive in its mother liquor! When getting mussels, try to knock then with each other and eventually they will shut which indicates their live status. To taste test the mussel plain, I steamed 2 with water only and oh man, these mussels were so good in taste and were much much better than the ones you can buy in the market as they were full of the seafood flavours. What I cooked was a dish that was so easy to make but tasted brilliantly! 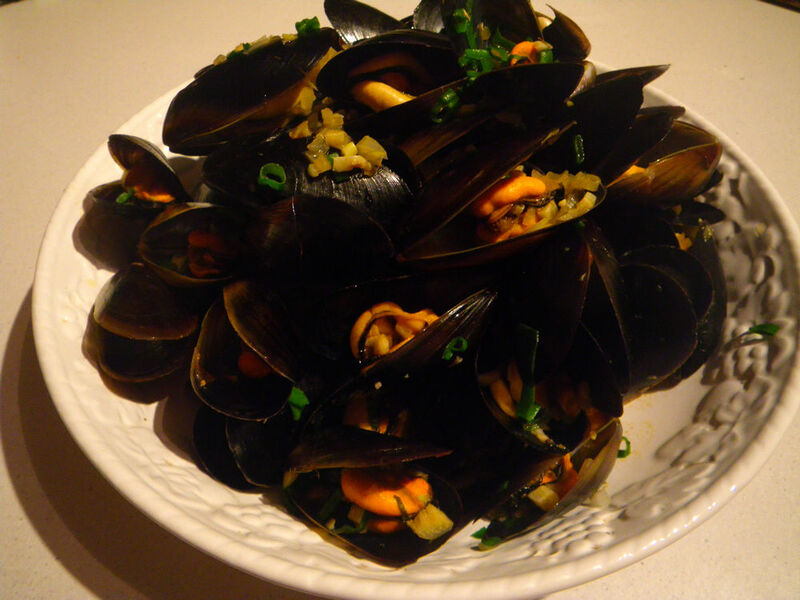 – Steamed Mussel Provencal. 1. Heat the pot up at med and oil in. 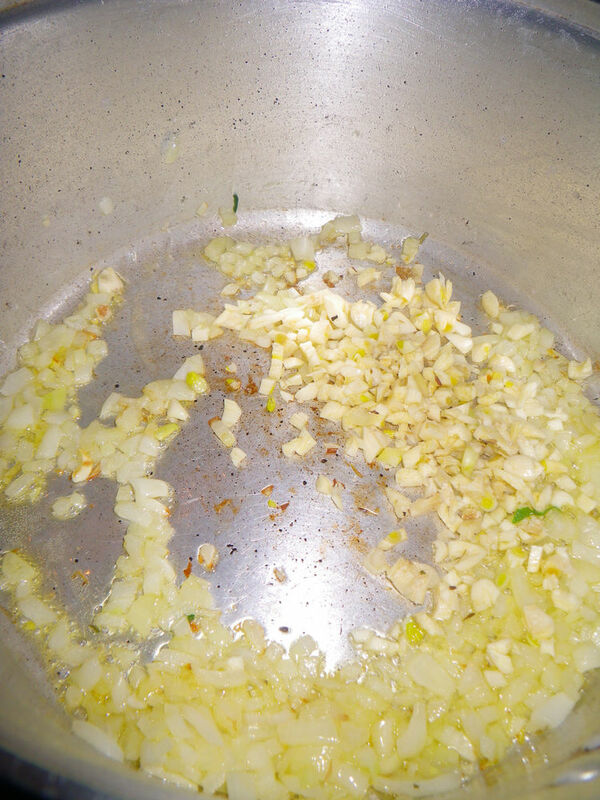 Add the shallot and garlic in and saute until soft. 2. 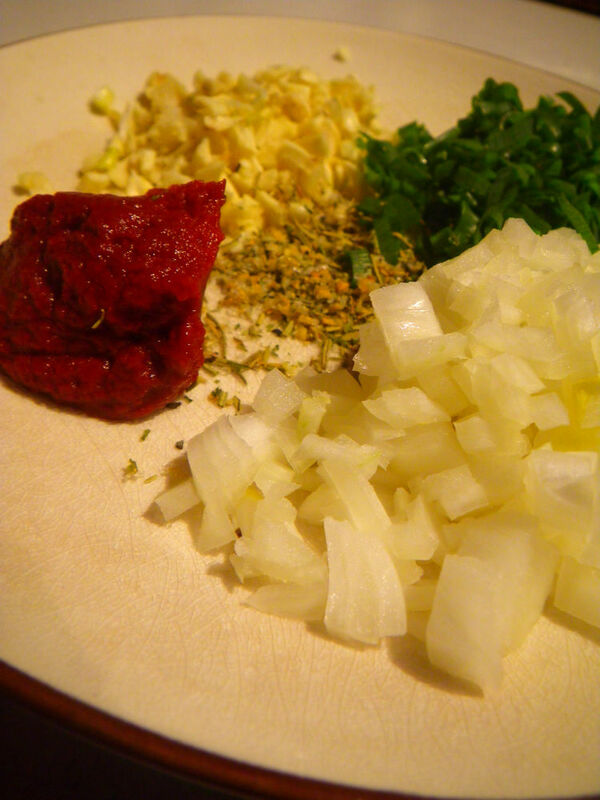 Once the garlic and shallot were soft, add the tomato paste and dried herbs and stir. 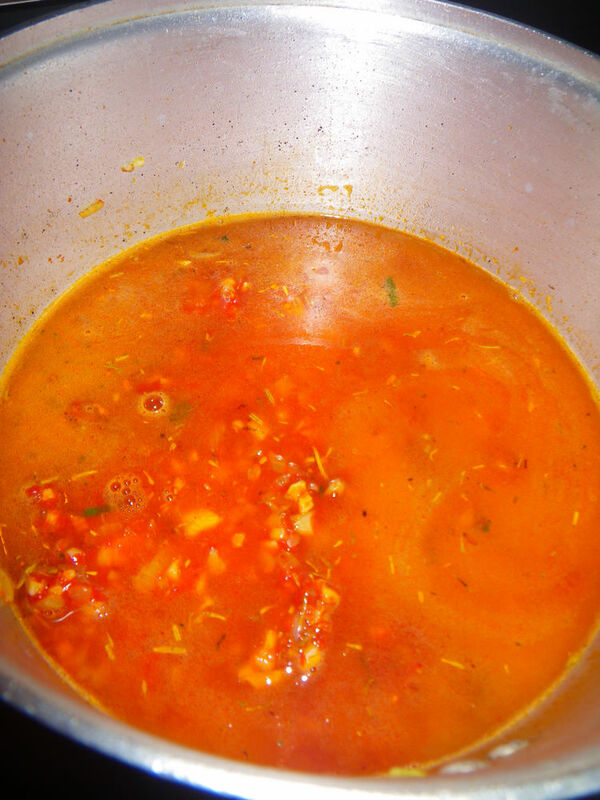 You can use fresh chopped tomato instead but I wanted more tomato flavour in the soup and hence I used tomato paste. Same as the dried herbs, I found them contributing more concentrated flavour into soups than fresh ones. 3. 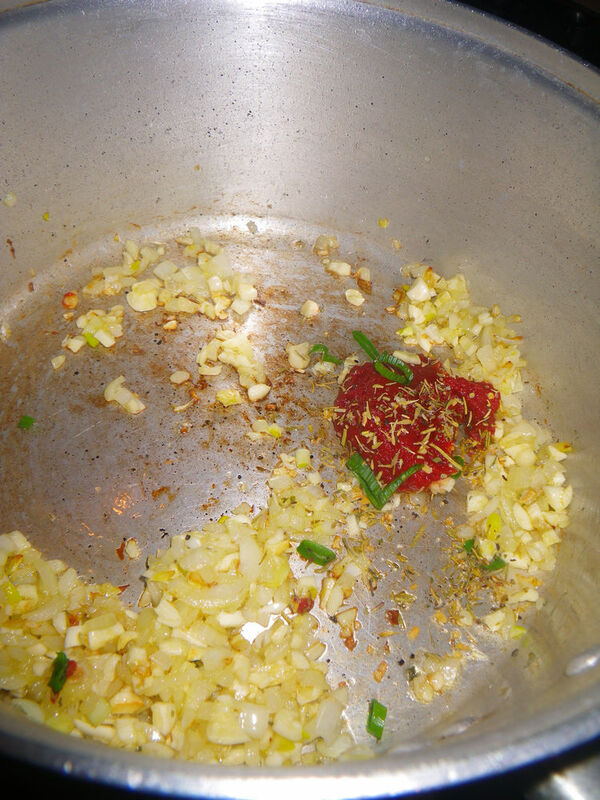 Add the 1/4 bottle of fruity chardonnay into the pot. 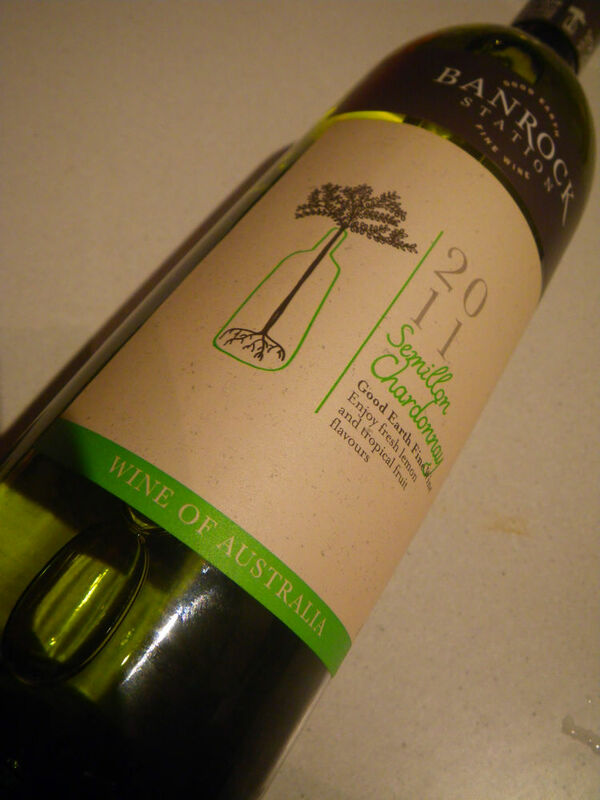 I used a cheap Semillon Chardonnay, which I got a case for free and was mainly used for cooking. If you have a good one in hand, use that because the better the wine, the more complex the flavour in the mussel. 4. 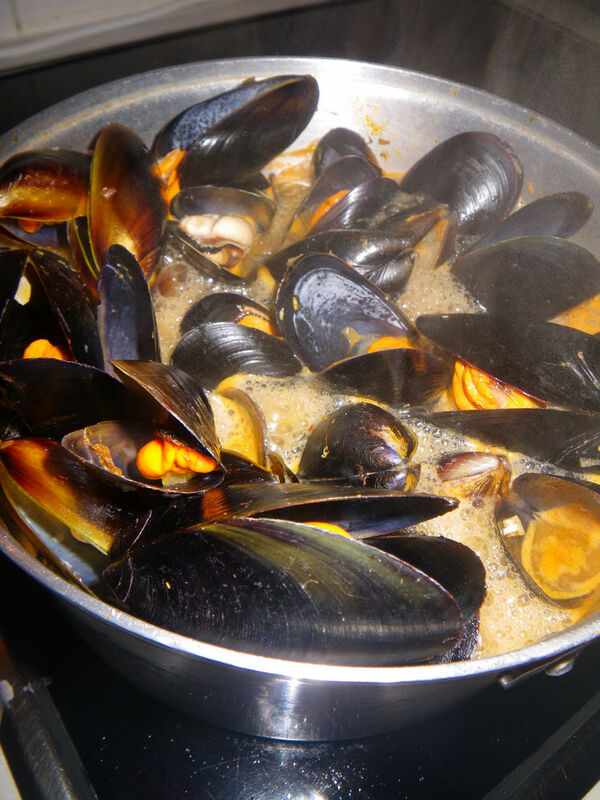 Make sure all mussels are closed up and quickly place them into the pot. Cover immediately. 6. Add the spring onion/parsley, stir and plate up. Try to drain the liquid soup. Regarding the taste of the mussel, they were sooooooo tasty! The flavour of the soup has all gone into the mussel and was concentrated within the body. 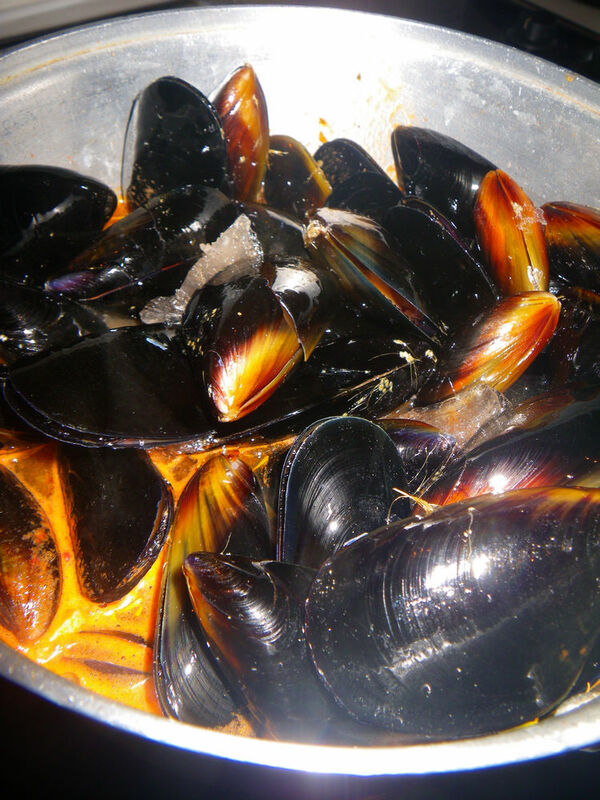 When biting the mussels, a bag of water can explode in the mouth. The herb, tomato and the wine made a good mixture and combination to enhance the mussel flavour! The sweetness of the shallot the garlic flavour have also contributed to a fantastic mussel dish. Kinkawooka is quite difficult to remember but I will. I want to taste them. G’day Xin! Looks delish, true! Can’t wait to try these Kinkawooka mussels too! Ha, glad to see u on here. I guessed it would be a abriginal word. lol. Really nice musels that you grow! Kinkawooka produce awesome mussels. Your recipe looks great, XL. 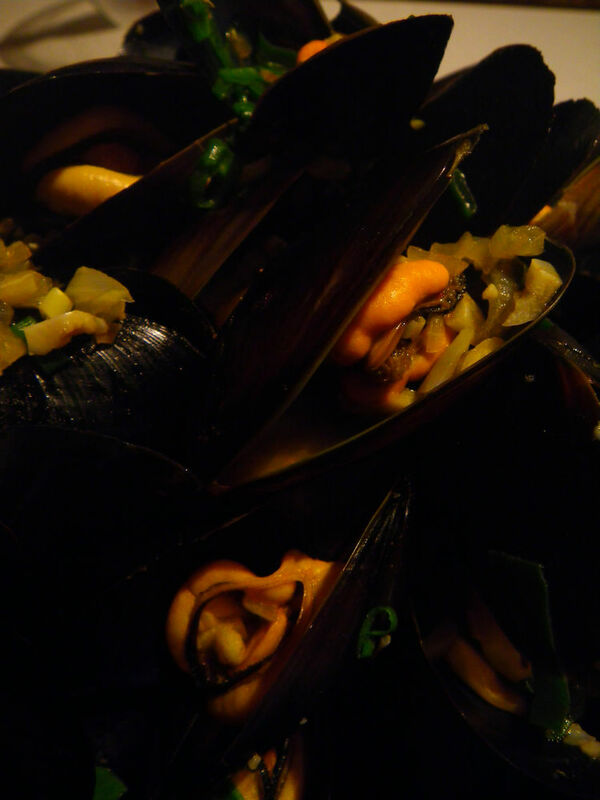 Love mussels and appreciate a new recipe for them. Usually just steam them with celery leaves, sliced garlic and white wine. Your version looks delicious!